Or is it birdman? 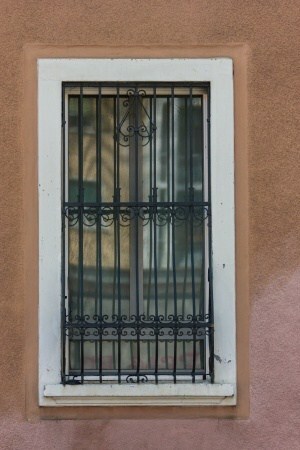 In any event, are you the manager of a property with bars on the windows and they (the bad guys), are in control. Well, shinny up to the table and let’s have some serious dialog. If you look at the gang map of Orange County, it is difficult to find a property that is not impacted by one or more of the 250 gangs that call paradise “home.” Sheriff Brad Gates, District Attorney Michael Capizzi and the police chiefs of Orange County have been waging a vigorous battle against those who elect to defile our properties, but the war is not theirs’ alone. We too, as managers and members of the property management team, are called to arms (not to bear arms) but symbolically, to arms, utilizing our heads and not our bodies. So what can we do? I offer several avenues with the pervasive advice that you should not stand for lawlessness for one second. Begin by understanding the demands of them. This can be accomplished by talking to them, their leadership, the mayor and city council. Know your beat officers. Become their friends. Call the police when you truly need them. If there is a problem with police service, document it and review it professionally with the watch commander. Support police groups and associations. Go out of your way to do this. However, do it respectfully and gratuitously. Compliment them verbally and in written form when so deserved. To share successful methods of prevention and control. To share security services and expense. To coordinate a positive anti-crime anti-drug message. Take pictures of each resident and place those pictures in the resident’s file. Copy the driver’s license of each (if applicable). Obtain emergency phone numbers of their family, friends or relatives who live off site. The person who has to move in at once and cannot wait for your normal checking procedure. The self-employed prospect. Don’t let him impress you with titles and stories. Check bank statements and tax returns. A request to move in or store items in the unit before the lease is signed. This is an absolute “no” regardless of the story. An unusual location request, such as on alleyway to immediate street access. Be observant. Fix what is broken immediately. Share information with residents and ask them to keep on the lookout. Place warning signs and decals in prominent places. Create an awareness that you are vigilant and that vandalism will be aggressively pursued and stopped. Remember, the solution to crime in your community is not someone else, it is you! Be aggressive in addressing the problem of crime and in developing solutions. There are numerous resources to help you. Use them! John Maciha is a former vice president of The Irvine Company and now serves as a consultant in the area of asset management.